A dark grey moss, dotted with small flecks of rust-brown, Flint Moss is commonly found in area of thermal activity, or piles of scree. 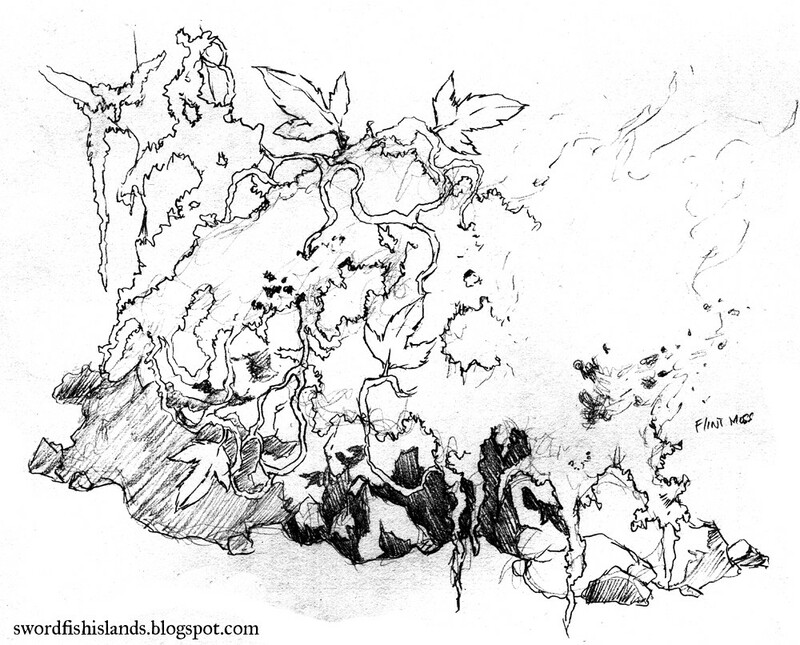 The moss requires fire to spread its seeds, and will ignite from even the smallest sparks. A 3" cube of Flint Moss will burn for 3 to 4 hours and put off flame comparable to a normal sized camp fire. The moss growing on piles of rubble or loose rock is the most dangerous as friction from shifting stones can cause the rust-colored flecks to produce sparks, turning what was once a moss covered mound of debris into a raging inferno.